December 12th. It's time to get ready for christmas dinner, and making red cabbage a few days early eases the stress of making the traditional Danish christmas dinner. My mom always made her own red cabbage, but she had the recipe in her head, and it's lost forever. I like the simplicity of the dish. You only need 4 ingredients, not counting salt and pepper. 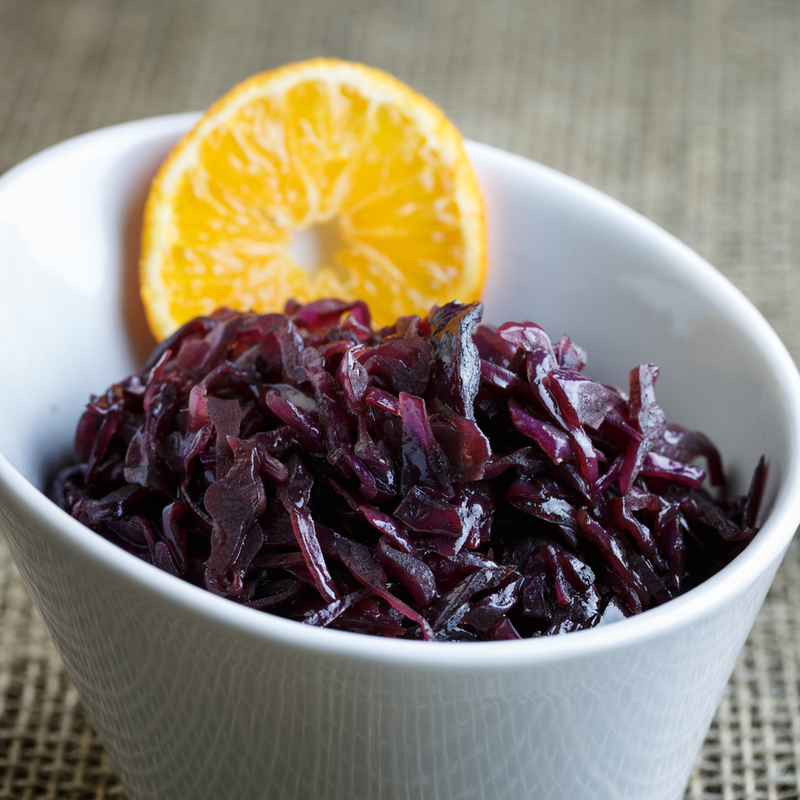 The sweetness from the sugar combined with the acidity from the balsamic really works well with the red cabbage. Rødkål is a traditional danish side for the christmas dinner, but it's also very good with medisterpølse and meatballs/frikadeller or in sandwiches. This is my take on pickled red cabbage. Melt the butter in a large saucepan. Add the the cabbage and sear it for a couple minutes. Add the vinegar and sugar. Simmer the cabbage for 10 - 15 minutes until cabbage is tender. The cabbage can be served cold on (open faced) sandwiches.